Armed with land-attack cruise missiles, these two new vessels could cause major headaches for China’s naval forces. Type 636 is designed for anti-submarine warfare (ASW) and anti-surface-ship warfare (ASuW) and also for general reconnaissance and patrol missions. 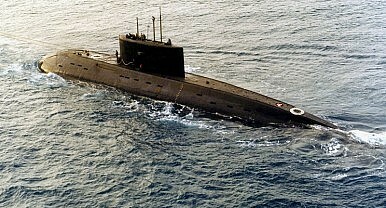 The Type 636 submarine is considered to be to be one of the quietest diesel submarines in the world. It is said to be capable of detecting an enemy submarine at a range three to four times greater than it can be detected itself. As I noted before (See: “Vietnam Buys Deadly New Missiles Capable of Hitting China”), once the last vessel is commissioned, Vietnam will have the most modern submarine force in all of Southeast Asia. Its principal purpose will be to act as a credible deterrent force to Chinese “adventurism” in Vietnam’s maritime domain. What will make the new vessels particularly dangerous for the People’s Republic of China is that they will purportedly be equipped with land-attack cruise missiles. “Vietnam is in the process of acquiring 50 anti-ship and land attack 3M-14E Klub supersonic cruise missiles for its burgeoning fleet of SSK Kilo-class diesel-electric submarines,” I noted back in April. The Chinese naval base at Sanya on China’s Hainan Island and military facilities that Beijing is building in the South China Sea could be potential targets for the newly acquired subs and their deadly missiles.